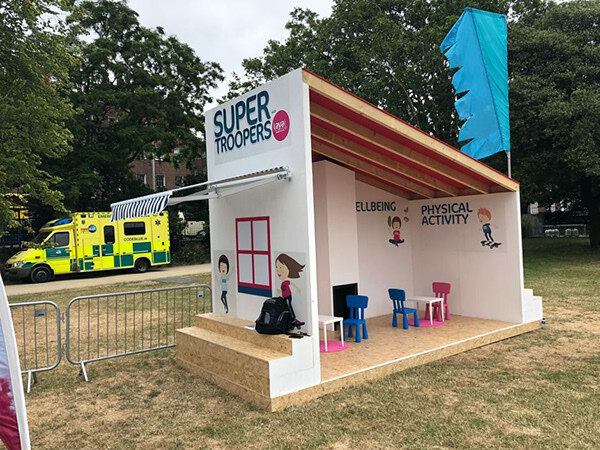 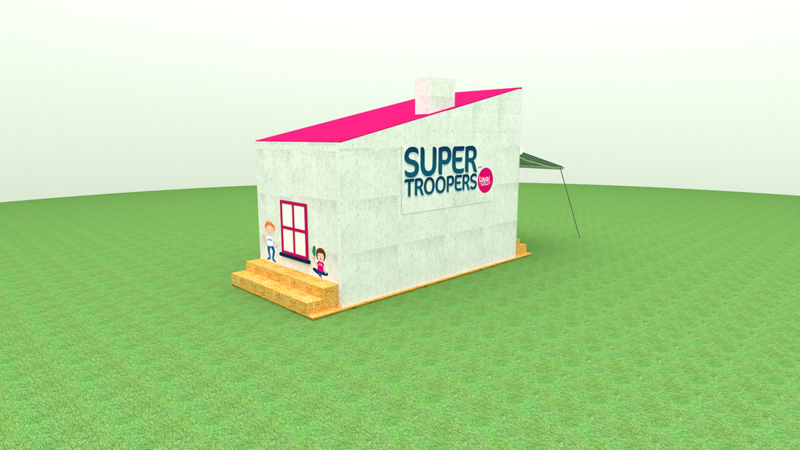 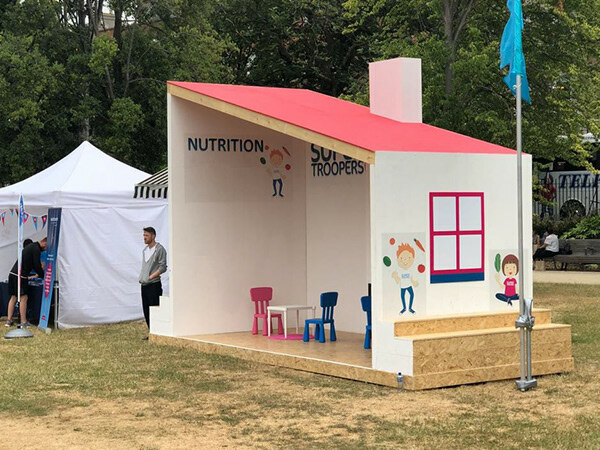 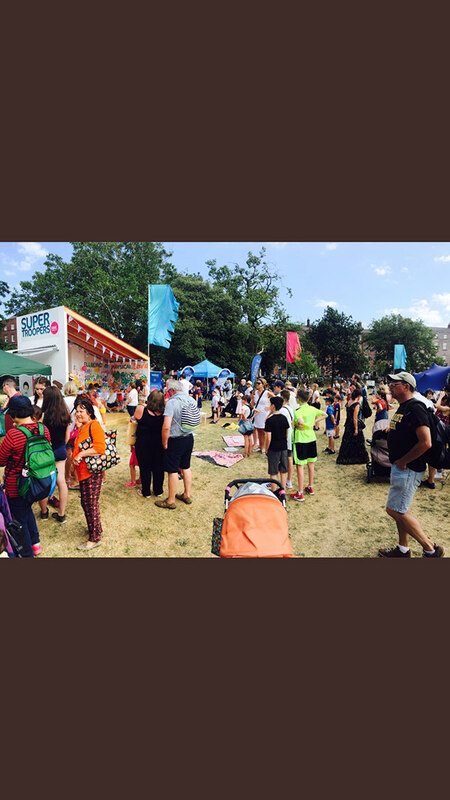 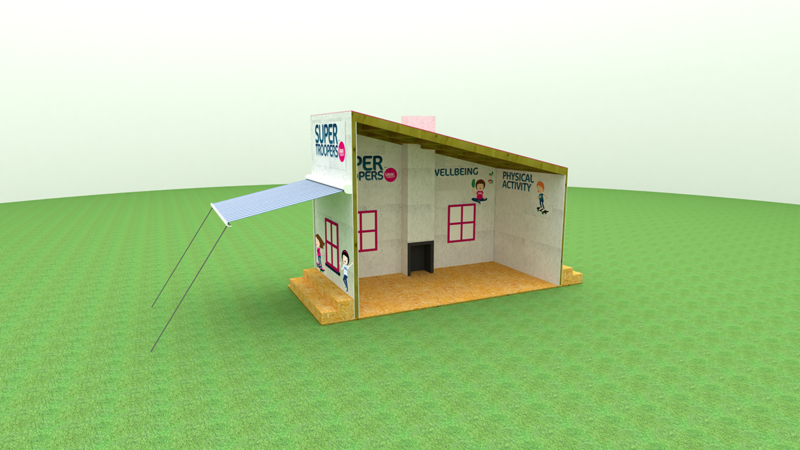 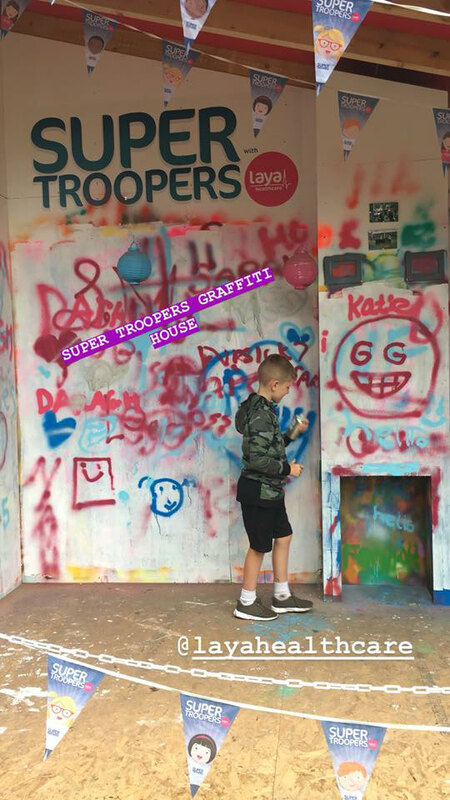 The Supertroopers Graffiti house was designed as part of the Dublin City Spectacular event 2018. 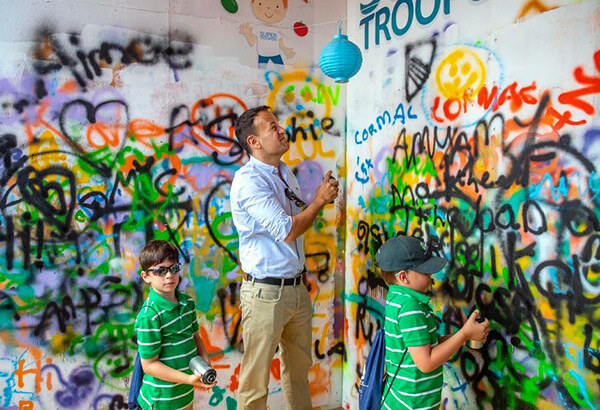 The brief requested that a small simple structure be created that would allow kids of all ages to lean about graffiti and to make their own mark. 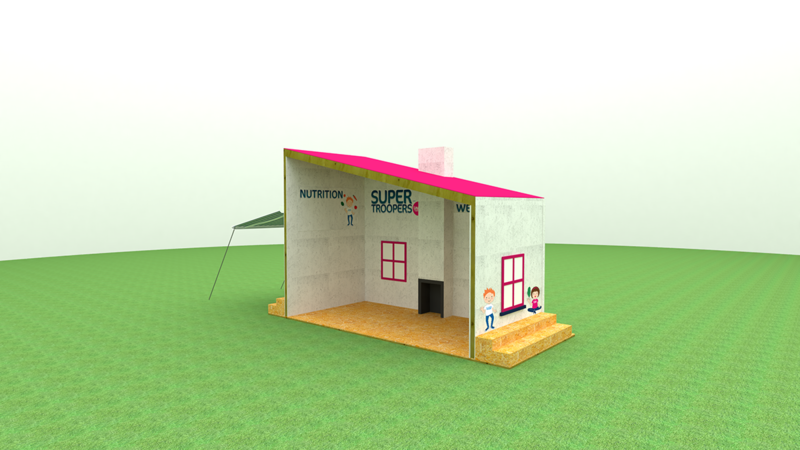 The set is suggestive of a house with all interior walls used as canvases for people to express themselves. 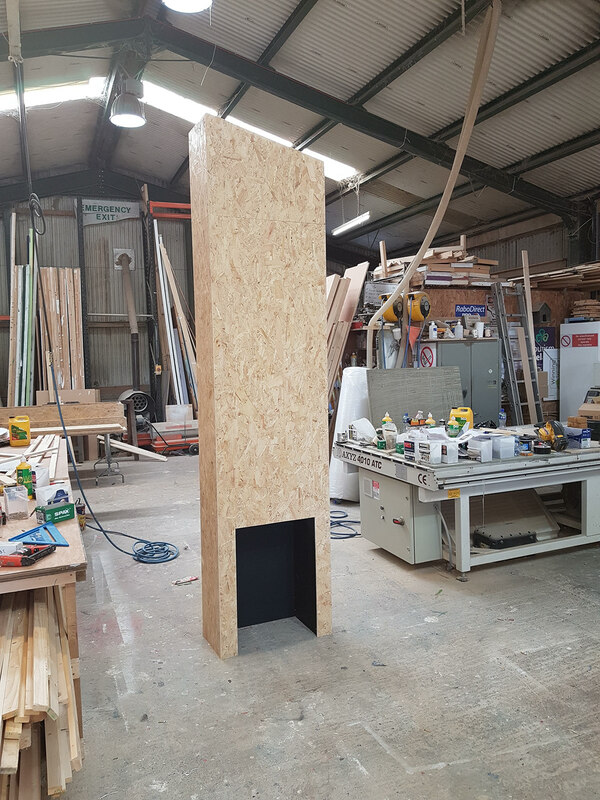 The structure was designed for fast assembly and disassembly as it had to stand in tow different locations in Ireland over two weekends. 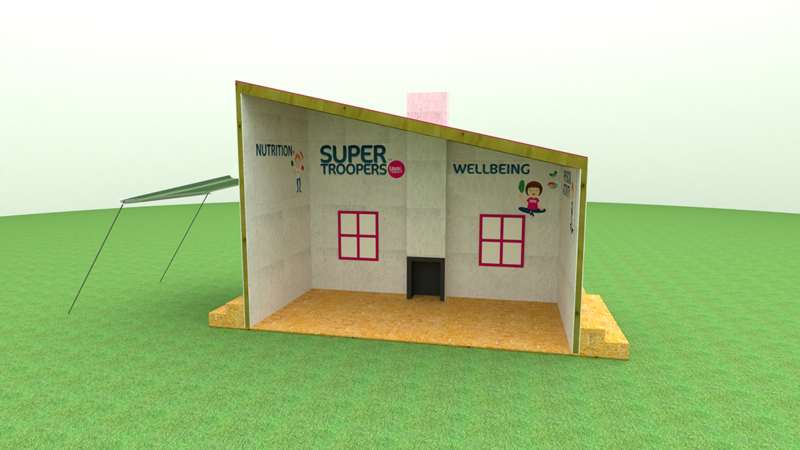 The design solution was simple using affordable, standard size sheets of OSB board built into sections. 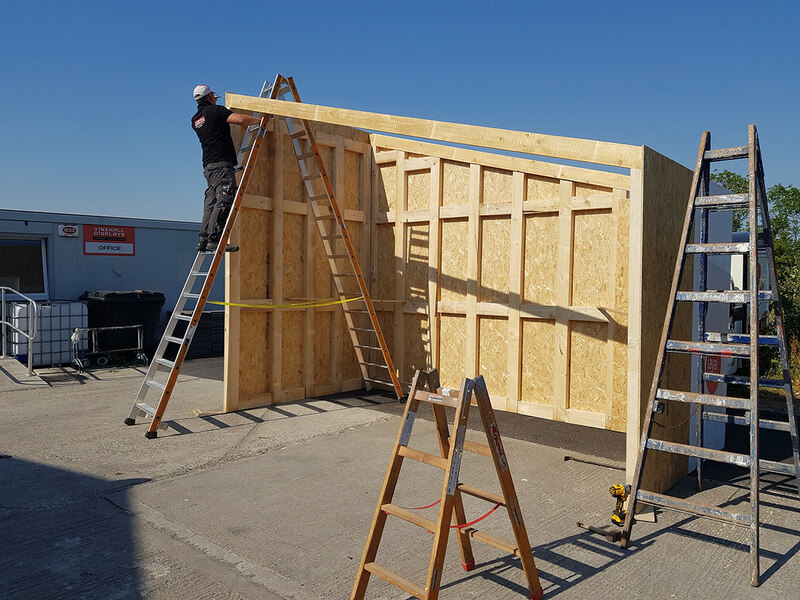 this meant that the structure would come together in a matter of hours and while still conforming to all health and safety regulations.